The March holidays are this week, and the possibilities are endless! If you’re looking for something fun to do, or at a loss over how to fill your week, we’ve got some suggestions for you! Take yourself on a trip or head out for some family time with these activities. 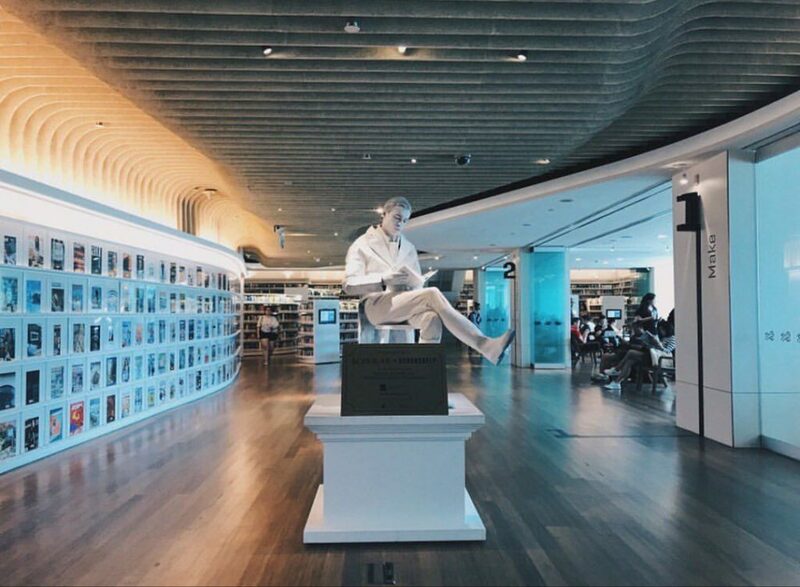 It is well known that Changi Airport is more than just an airport, it is a bustling hub that truly spoils us year-round with all sorts of colourful events. From 15 March, Changi Airport welcomes the fun and vibrant world of tokidoki to their space! 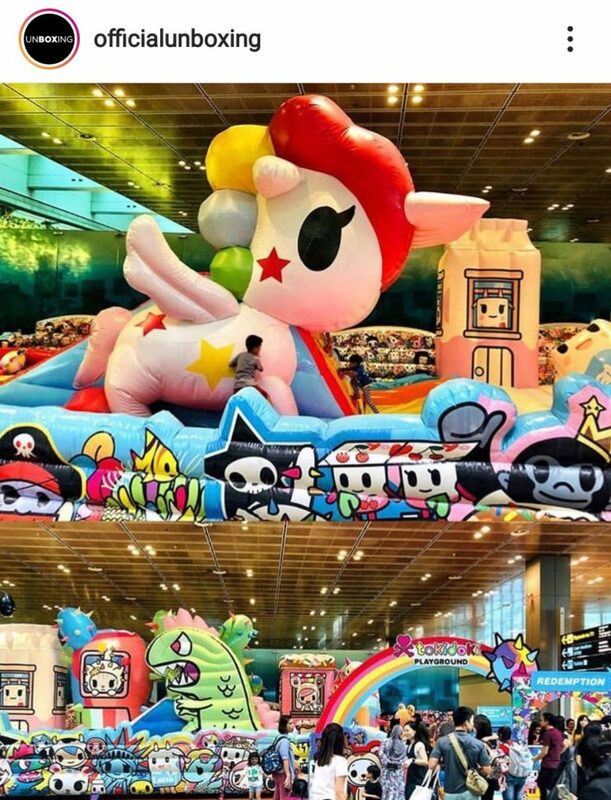 This takes the form of a larger-than-life themed playground, starring the world’s largest Unicorno slide, a walk-through tokidoki show flat and even exclusive tokidoki x Changi Airport travel merchandise. There are also exclusive meet-and-greet sessions with beloved characters SANDy and Donutella, so snap a few cute pics for the ‘gram! What: The world of tokidoki at Changi Airport! There’s nothing like a good, reliable festival to get your fun fix! The Festival is a three-in-one deal with the (FREE!) Street Fest, International Comedy Festival and nickelodeon Fiesta loaded into eleven happening days! The Street Fest features street performers from all over, with Clarke Quay Fountain Square coming to life with the likes of the stilt-walking Sergeant Majors from the UK, the daredevil Felicity Footloose show performed by Natasha McGhie, and even Singapore’s own talented Annoying Brothers. 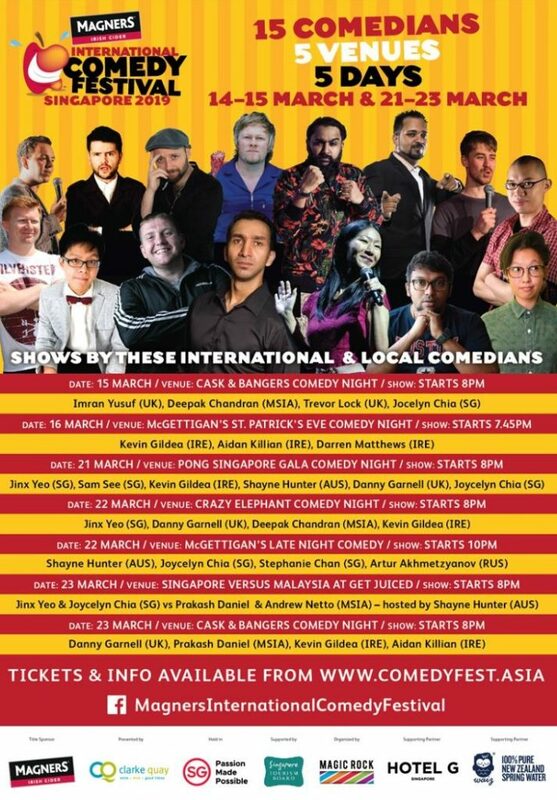 International Comedy Fest takes place across five days, five venues, with fifteen comedians for you to laugh ’til your stomach hurts with. Finally, the nickelodeon Fiesta is an exciting carnival featuring fan-favourite cartoons like Spongebob Squarepants and Dora the Explorer! Buy festival coupons here to enjoy exclusive deals at participating outlets. For more, visit festivaloffun.sg. If you’re looking for an experience that is educational in an engaging and instructive manner, Science Centre Singapore has got you covered. S.M.A.R.T Camp on Robotic Vehicles is one of their latest offerings run by the Centre for Research and Applied Learning in Science. 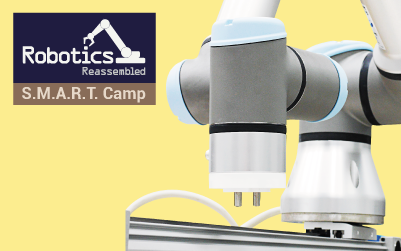 In the two-day camp, participants will get to explore the actuators, electronics and computer algorithms that make robotic vehicles, as well as assemble three models of robotic vehicles from scratch. To top it off, the vehicles will be programmed using Arduino programming language. If this sounds right up your alley, you can visit this page for more information and registration details. Cuteness overload! Who doesn’t love Gudetama, the adorable Japanese lazy egg that has built an empire around its tired whines? 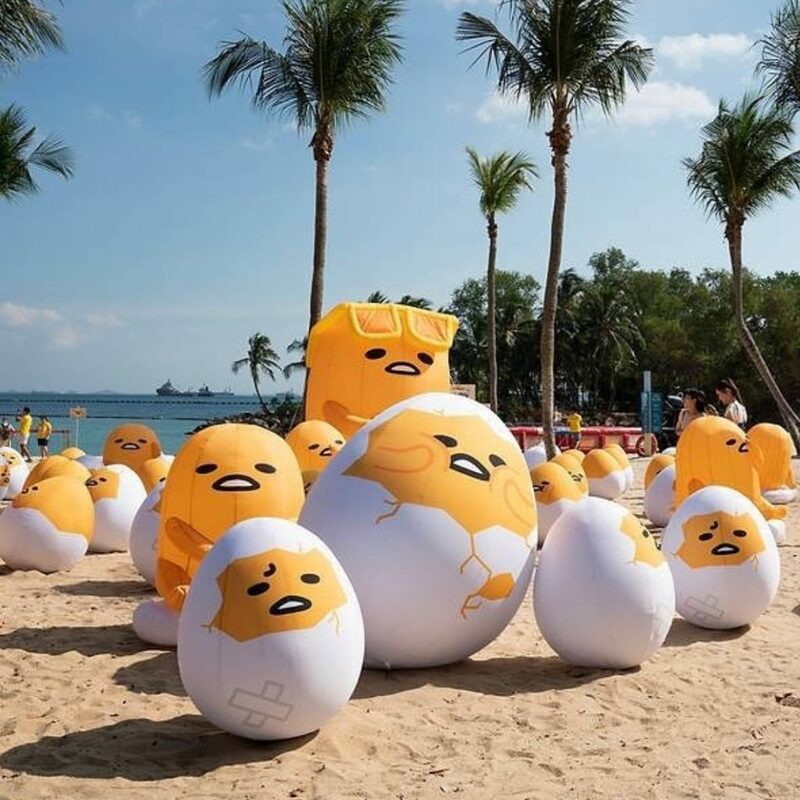 Well, from 16 to 24 March, meet 800 Gudetama at the Sentosa FunFest, which features a sea of 888 0.9m to 1.5m inflatable Gudetamas all over the Palawan Beach area, plus another massive 3m-tall one perfect for pictures. If you prefer a leisurely stroll over sun-soaking on the beach, not to worry! 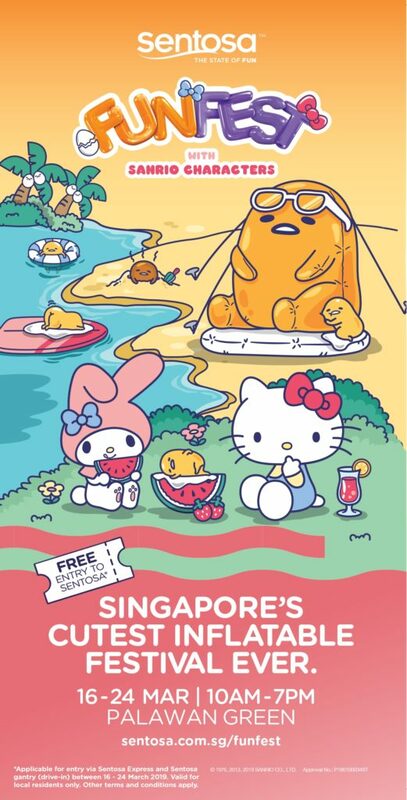 Bask in the flora and fauna from Beach Station to walkways around Palawan Beach, an area that will feature eight Hello Kitty and My Melody inflatables up to 4m-tall, as well as various photo points. For families who want to enjoy a cool evening together, there will be movie screenings everyday at 7.30pm at Palawan Green. Look forward to favourites such as Frozen and Minions! To top it all off, Singapore residents get to enjoy free entry into Sentosa island via the Sentosa Express and Sentosa Gateway vehicular gantry throughout this period. So really, what are you waiting for? Fun for the whole family awaits! For more information, please visit sentosa.com.sg/funfest. Whether you’re a history buff or just curious about a man heralded as our founding father, this exhibit is for you. This exhibition presents a complex look at Sir Stamford Raffles as well as presents the vibrant cultural and artistic heritage of Java and the Malay world.